The group stays in Washington DC for this three day event. We kick off with a welcome reception and briefing Sunday evening. Monday (all day) and Tuesday morning consist of Agency briefings with the ABA, Treasury, FHFA, OCC, CFPB, and the FDIC. Tuesday Afternoon and Wednesday morning are scheduled Congressional visits and a briefing with delegates on the Hill. We will attempt to end meetings by 2 P.M. on Wednesday, May 22, so please do not book return airfare prior to 5 P.M. There is a room block at The Hay-Adams, Sixteenth & H Streets, N.W. Washington, DC 20006 Room rate for The Hay-Adams Superior Room: $375 per night plus applicable taxes and fees. Reservations are open now through April 26, 2019. 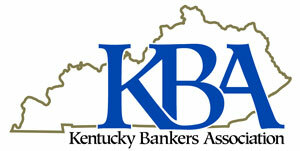 You may email the hotel at reservations@hayadams.com or call the hotel directly at (800)424-5054 and notify them you are part of the Kentucky Bankers Association room block.